Maintain hygiene and save the environment at the same time! You can sit back and relax, or even head out, while the dishwasher takes care of your dishes! Here’s how. 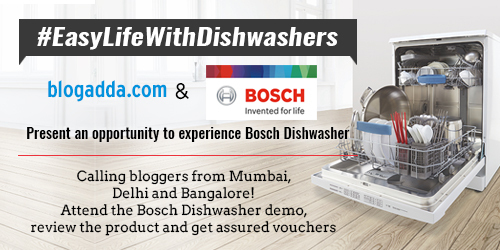 Attend the Bosch Dishwasher demo in your city on a given date and time. Review the product on your blog and share your experience. 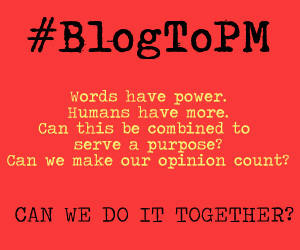 Note: Open to all bloggers in the Technology, Food or Lifestyle genre from the cities mentioned above. 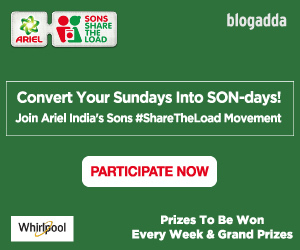 ​Further details will be emailed to all shortlisted bloggers.​ Please read Terms & Conditions here. Click on the button below to express your interest.